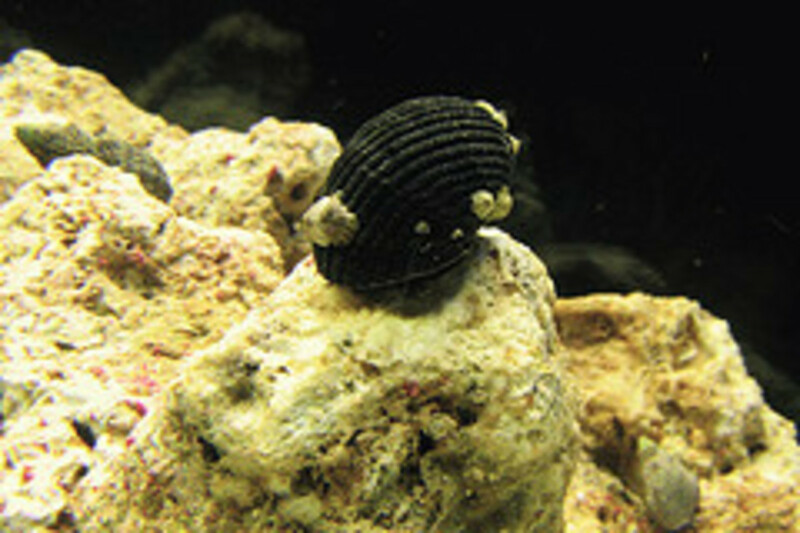 There is not much solid information about aquarium snails as the majority of aquarists spend more time eradicating them than caring for these misunderstood animals. 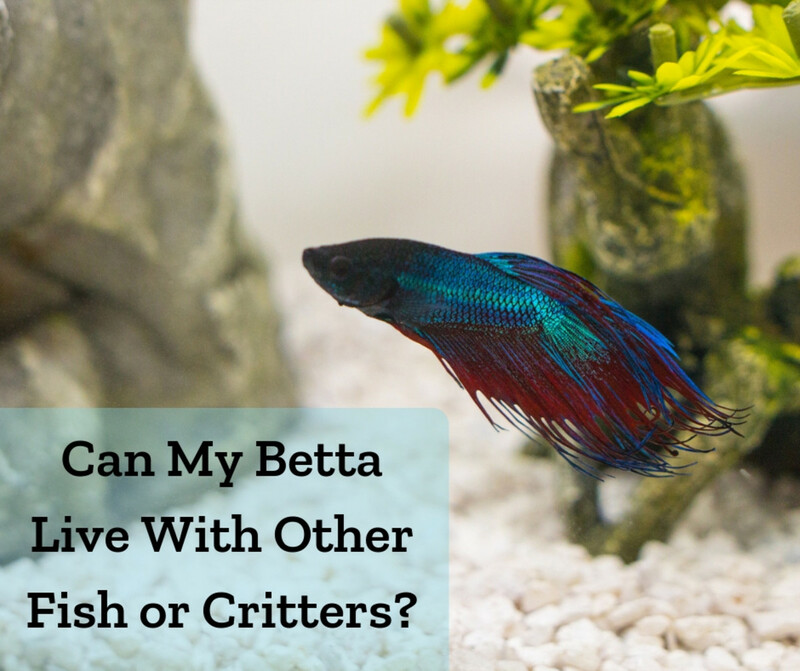 While some species may very well ‘take over’ an aquarium, there are several species that are very suitable for a normal community tank, and you may even find yourself staring more at your pet mollusks than your fish! Here is an overview of the most common species of aquatic snail you may come across. There are many different species of apple snails, but probably the most common one sold in pet stores is the Pomacea bredgesii, or commonly known as the “mystery snail.” These snails are well equipped for life underwater, with one gill and one lung. You may see them climb up the tank wall and stick out their ‘breathing tube’ so they can get a gulp of atmospheric air without climbing out of water. One of the reasons why mystery snails are so popular is that they are gonochroristic, meaning that they have separate sexes and cannot reproduce on their own and therefore, cannot easily ‘take over’ an aquarium. Mystery snails may float at the water surface for several days, which may be because they get too much air in their shell. This species of snail is also favored because they generally avoid eating aquarium plants unless they’re decaying, and they seem to prefer eating algae. Mystery snails may grow to a few inches in length. Unfortunately, these beautiful animals cannot be kept outside in a pond, as they are not very tolerant to cold weather. Many mystery snails, such as ones under the genus Pomacea, lay their pinkish-colored egg sacks above the waterline. Some other species lay their eggs under the waterline. These eggs are generally small, translucent, white eggs that grow bigger as the embryos develop. Ramshorn snails are actually any type of snail that has a tight, spiral-shaped shell. Some aquarists consider them to be minor pests as they are asexual and can reproduce with any other snail of its species, allowing them to grow to quite large populations in ideal conditions. 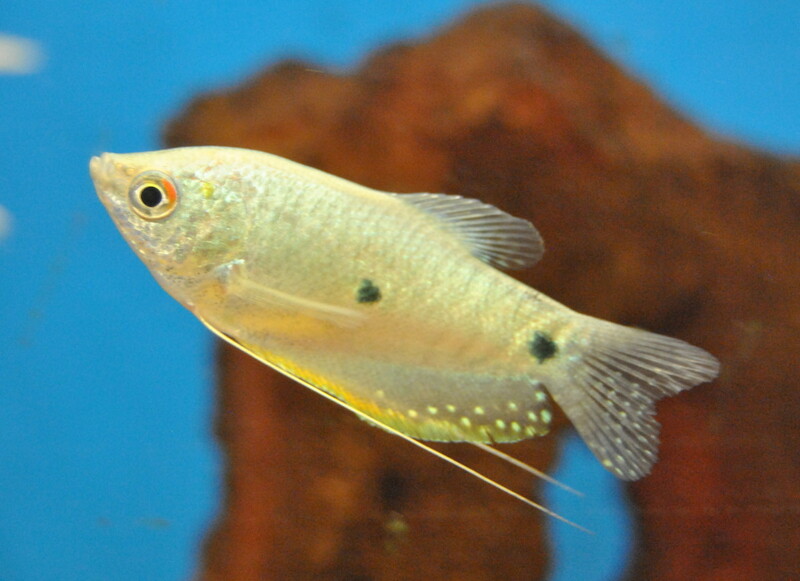 However, many aquarists consider them to be helpful ways to reduce algae in aquariums. 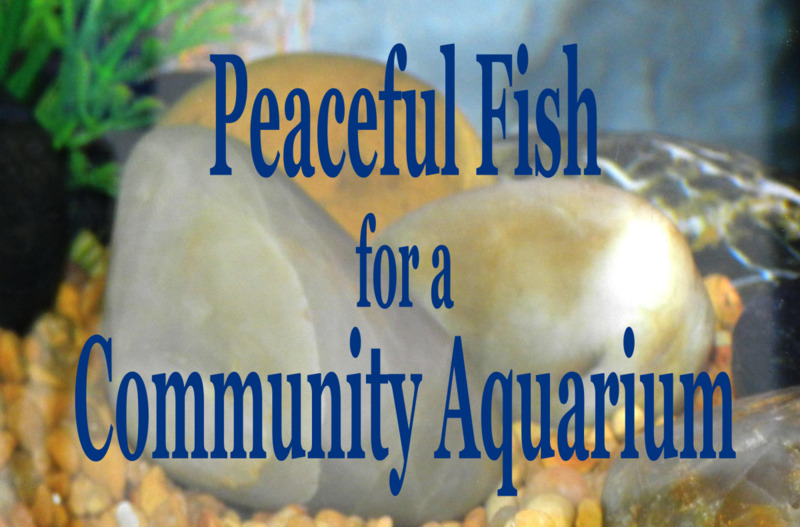 In the tank, fish that eat snails in their community can be included to lower populations. These snails generally stay pretty small in size with the largest ones growing up to around an inch. Many species of ramshorn snails can survive outdoor ponds, but some can not, depending on the species, so make sure you know what type of ramshorn snail you get before you buy one. 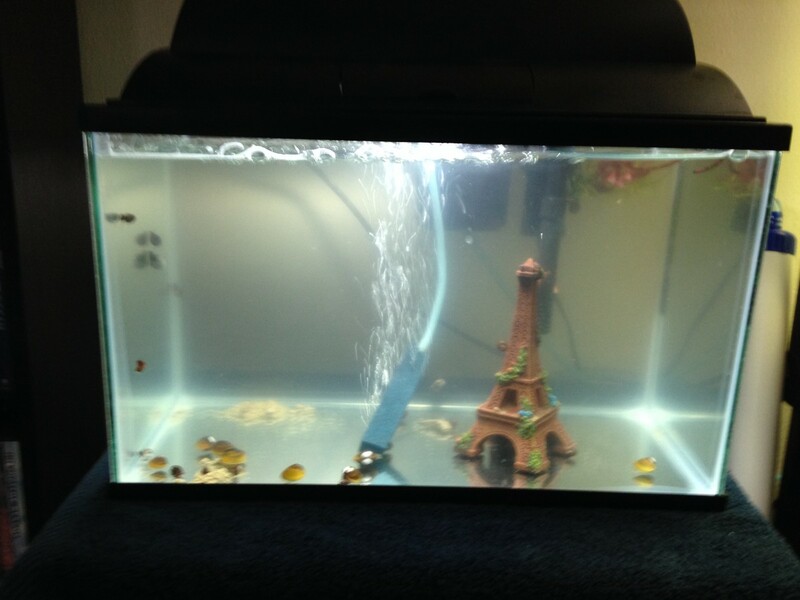 If you want to keep ramshorn snails in an aquarium, make sure to not fill your aquarium with so much water that the snails can not reach the surface. Most snails use lungs to breathe and need to have access to atmospheric air. Ramshorn snails lay their eggs underwater, and normally attach them to objects, such as plants or aquarium décor. Pond snails are most likely the reason aquatic snails have been given a bad reputation. Pond snails are extremely prolific animals, and can survive in ponds or tropical aquariums. They are both hermaphroditic and sexual, and these creatures can take over tanks or ponds in short periods of time. 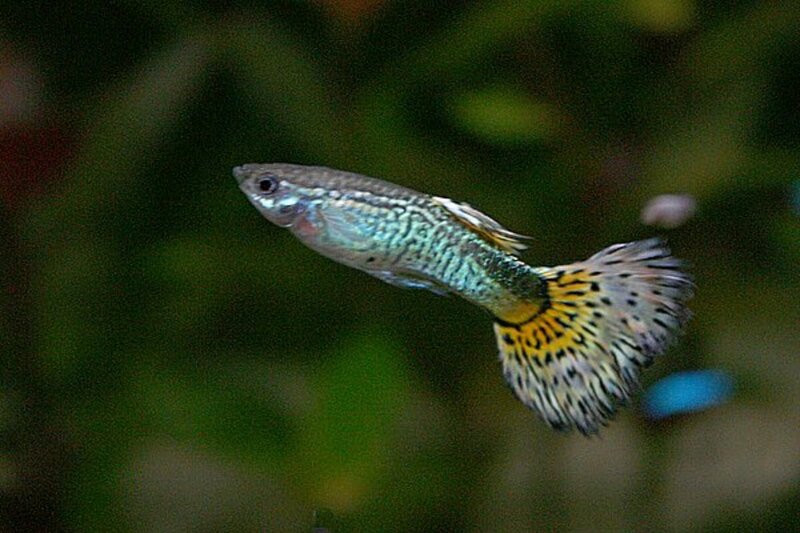 Many aquarists try all sorts of different methods to eradicate them while others just let them fulfill their algae-eating duty, buying some predators to keep the population down. 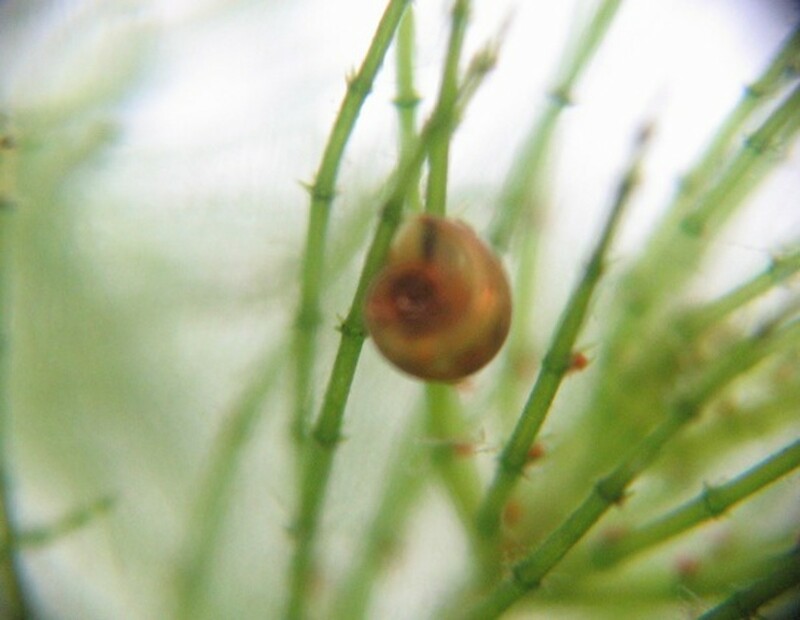 If pond snails start breeding in your tank, it is next to impossible to get rid of them. 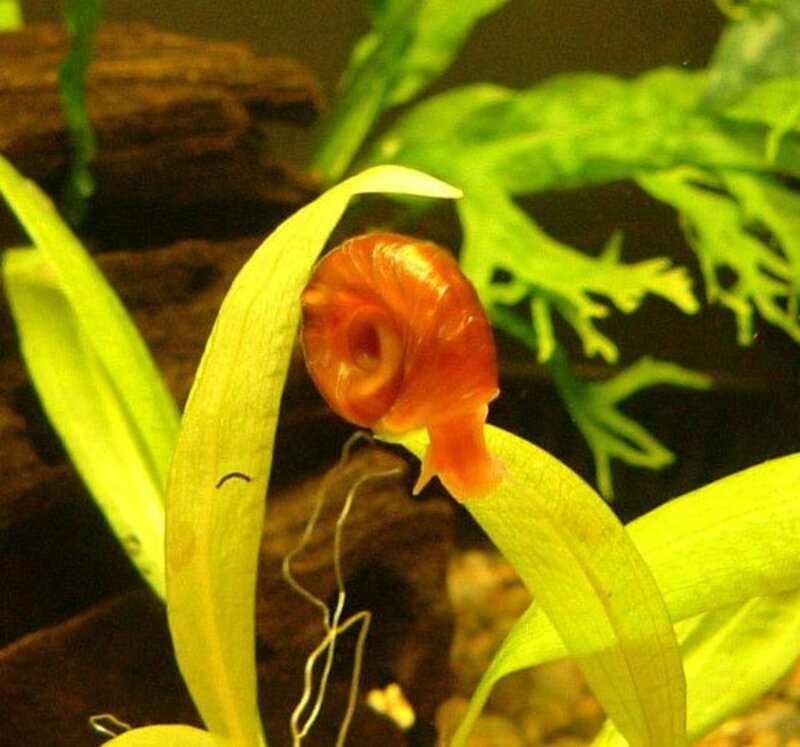 One reason why people dislike pond snails so much is that they will not only eat algae, but they can eat through almost any aquarium plant you try to put in the tank. The pond snails lay small clutches of clear eggs under water and attach them to plants, much like the ramshorn snail. Most species of pond snail stay under a half-inch in size. Nerite snails are actually saltwater snails, but they can survive in brackish or freshwater tanks. They are popular for freshwater tanks because they can’t breed in anything but saltwater, and therefore are one of the few species of snails that stay within manageable populations. 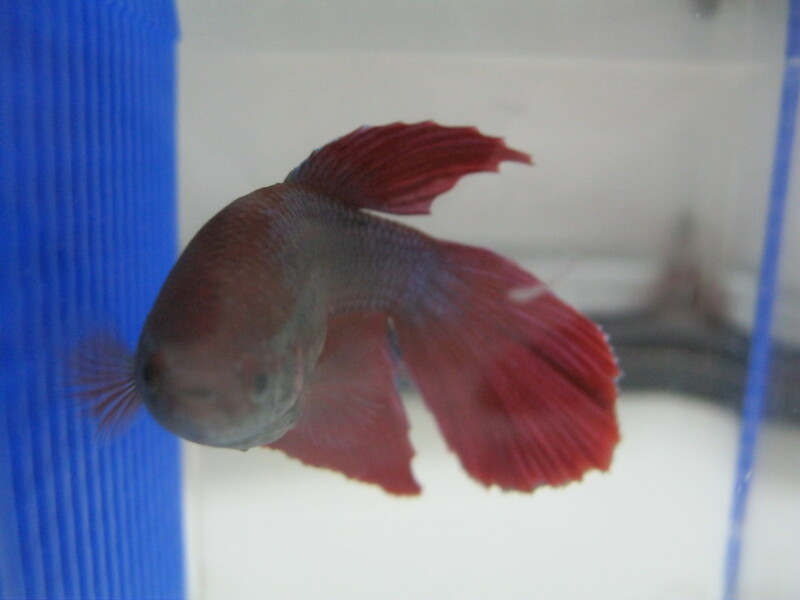 Because it will not reproduce in freshwater, I will not discuss its breeding abilities. 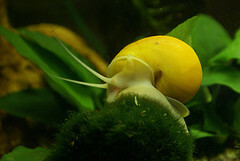 Theses snails are very good at eating the algae off of tanks, and will generally avoid aquarium plants. These snails can grow up to an inch in length. 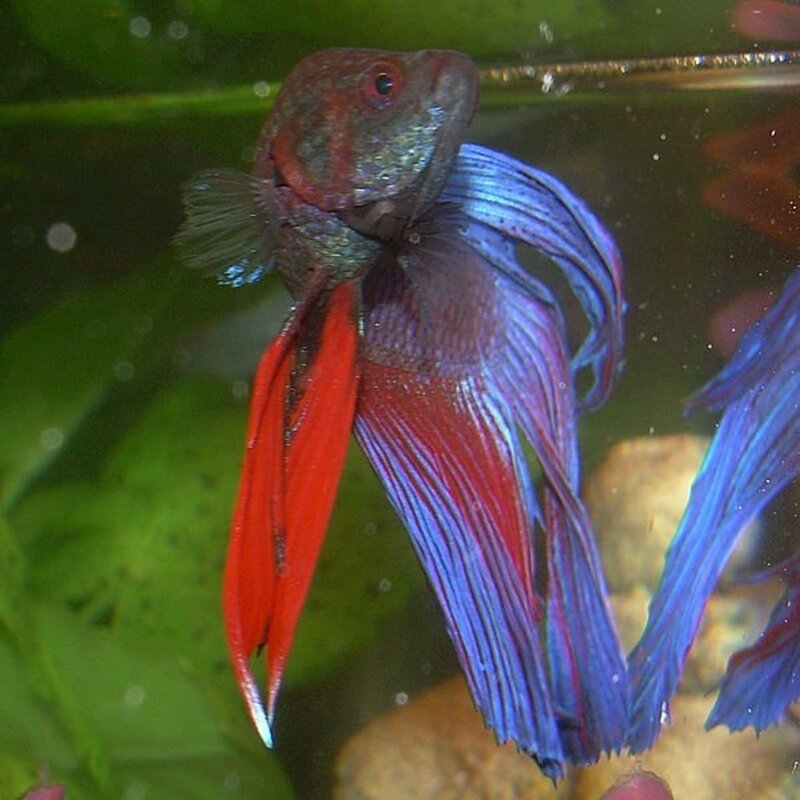 They are able to stay out of water for short periods of time, but make sure it can’t make it’s way out of the aquarium because it may not find the way back. hello, I'd just like to say that I've had just one Gold Fish in a tank by itself and fear the tank is getting too small for him but anyway to the point..I thought I'd get something to help the eco system of the tank so about 4 months ago I bought 2 snails..One is a "Horned" something, with spikes and the other one was a bigger one kind of dark to light brown with ddark spots on its shell..A week ago there are all of a sudden 4 baby snails getting around in the tank...I have no idea what's happened...Anyone have any idea's ?? it 3 times all ready.What do I do with the snail eggs?How do I clean the fish tack where the fish is in now? That's a good point, and thank you! I just wanted to point out that Nerite snails breed only in brackish water and as you pointed out they do equally well in saltwater, freshwater and brackish water. Wonderful article. Hello M.Aruna, if this happens you need to balance the egg case on something dry but near the waterline so the babies can crawl into the water. The embryos will drown if the eggs are kept underwater, sorry. Good luck with your snails! what happens if the eggs laid by an apple snail are thrown back below the water line unknowingly ? what will happen to the eggs? will they hatch or not?please send me a proper and an appropriate answer as soon as possible. wow very nice hub with lots of information good going!